In recent months I've become aware of the fact that in today's society taking a break from your everyday routine is really looked down upon. Being constantly on-the-go, working early mornings/late nights, spending your free time doing something "useful" is what it is celebrated in the Western Society nowadays. But let's face it. Everyone needs to take a break from time to time: from their school, job, family, problematic situations, or their lifestyle in general. Occasionally switching off from everything is exactly what keeps us on "our A-game" 24/7, so taking a break for yourself, your mind and body, should be our priority. 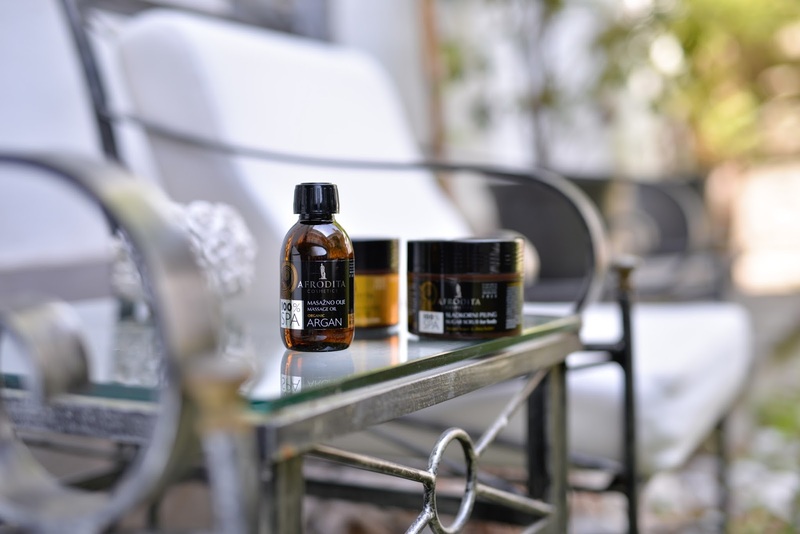 Because I feel really passionate about taking care and treating yourself on a weekly basis, I came up with a few tips, which will help you achieve, what I like to call it, "the perfect Spa at Home." I know I've been an avid advocate of this in my recent posts, but let me bring it up once more for you. The first thing you need to do is to switch everything off. In this case, airplane mode is my saviour. No buzzing, no light, no notifications. Completely switch it off and put it away. Just for this one short hour. You can do that, I believe in you! Moving onto creating the perfect environment, which will surround you during your one relaxing hour. Put on a relaxing YouTube playlist, light up candles, prepare your favourite food and drinks, put on a movie - whatever works for you. This is kinda an obvious one, but you know you gotta do it. Changing into comfy clothes, taking off makeup and putting your hair up in a bun or messy ponytail is what every girl dreams about. Once everything is set perfectly the way you want it, then it's time for the main event of your hour-off. Choose your favourite skincare, haircare and bodycare products for a little pamper routine. 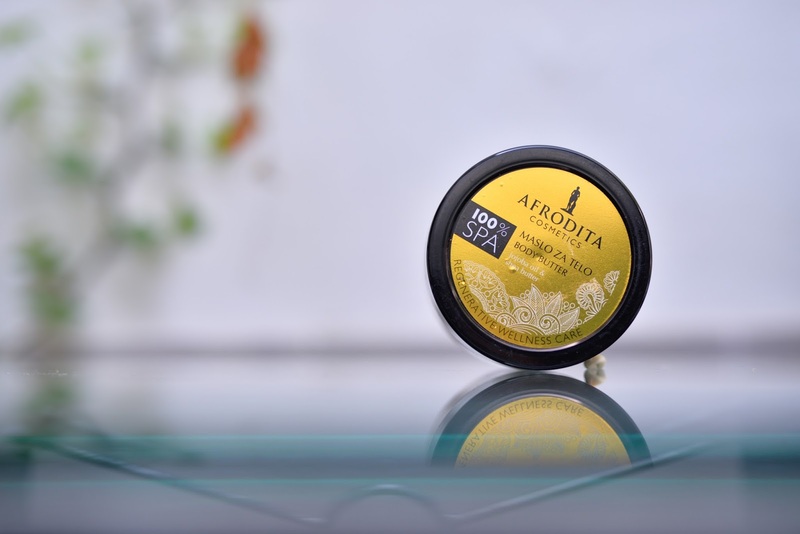 I always like to create my own little Spa at Home, with my favourite Afrodita products from their spa range. If you're not a pamper routine kinda gal, then miss this step and maybe watch a movie or do some exercise at home (like yoga for example), which will help you clear up your mind, strengthen your body and instantly set you in a better mood. 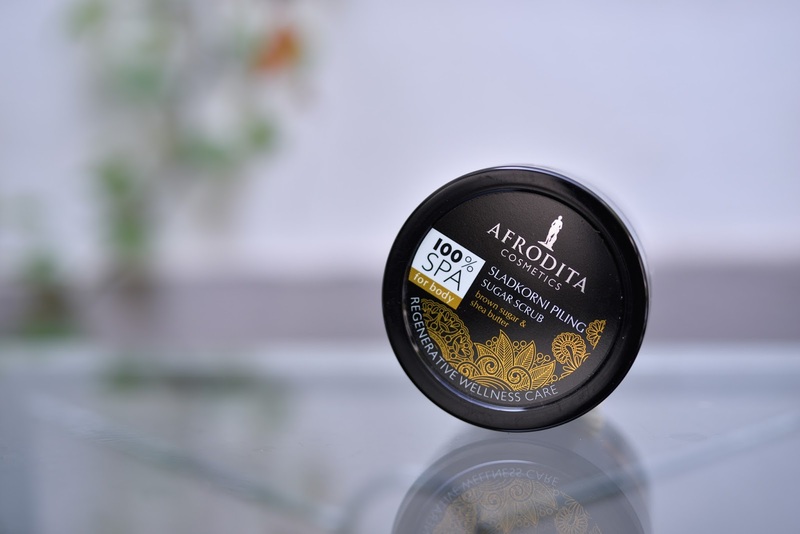 As I've mentioned above, when it comes to creating the perfect spa at home, I fully trust the spa range of products from Afrodita Cosmetics - especially their strawberry and argan range. I start my body care pamper routine with a scrub, which gently but very effectively removes the dead skin cells. It regenerates and nourishes the skin and leaves it soft and smooth to the touch. Another added bonus to this scrub (or the entire range of products to be exact) is the delicious sweet fragrance of strawberries. I continue the routine with two more nourishing products. First up being a body mousse, which deeply moisturises the skin and prevents it from drying out. The skin feels extremely nourished and soft to the touch + it contains a non-greasy formula, which quickly and easily absorbs into the skin and consequently protects it form premature ageing. 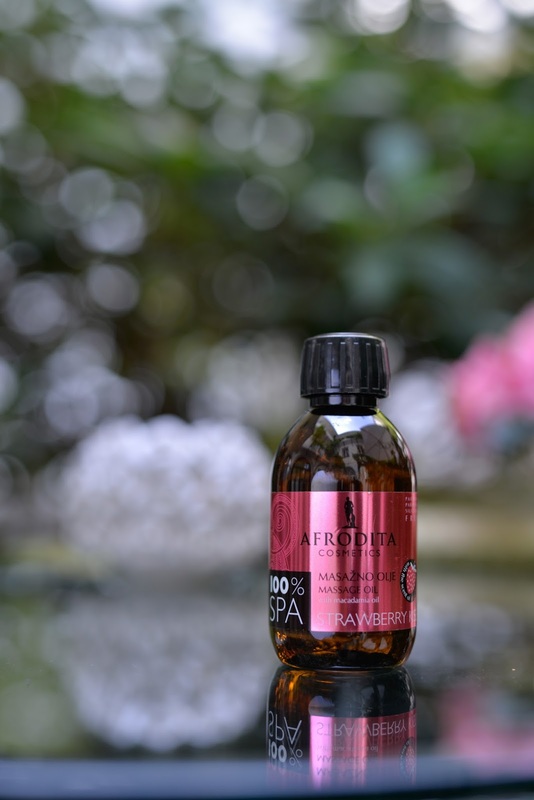 The last step in my spa at home routine is to apply a massage oil - to relax and pamper with this gorgeous strawberry fragrance. It is suitable for all skin types - it's enriched with a macadamia oil, which provides intensive body care. In the end you are left with a silky soft skin. 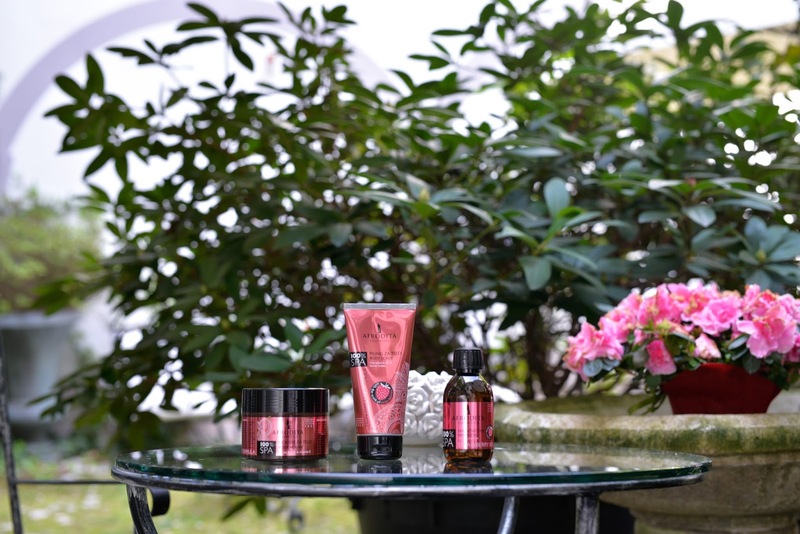 And if I'm not in the mood for a sweet sensation provided by the strawberry range of products, then I opt for a similar pamper routine, but this time with the argan and vanilla-scented range. As before, I start off the pamper routine with a body scrub - this time with a sugar (vanilla-scented) one, which again effectively peels off the layer of dead skin cells and provides smooth and soft skin to the touch. Continuing with the nourishing products: body butter provides relaxing care for a moisturised and nourished skin. It is suitable for all skin types, especially very dry skin, and again results in smooth and soft skin. 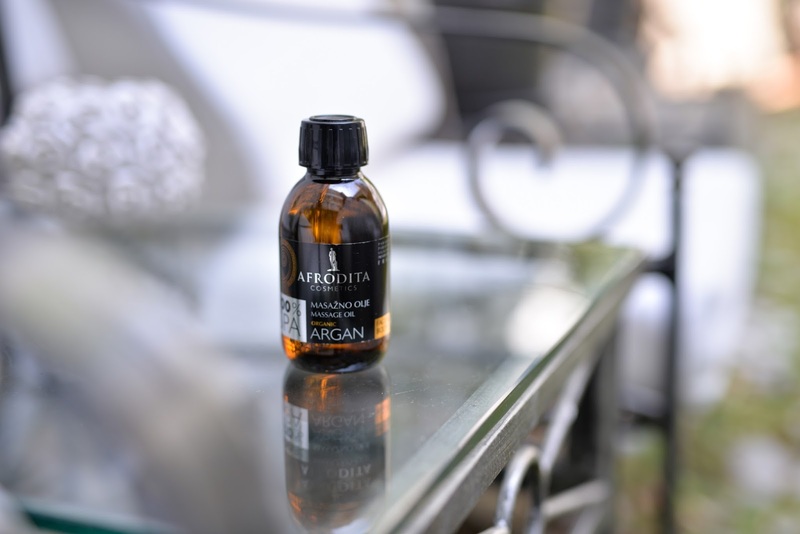 Of course the last one, but certainly not the least important, is the Organic Argan Spa Massage oil. It deeply moisturises and renews skin. 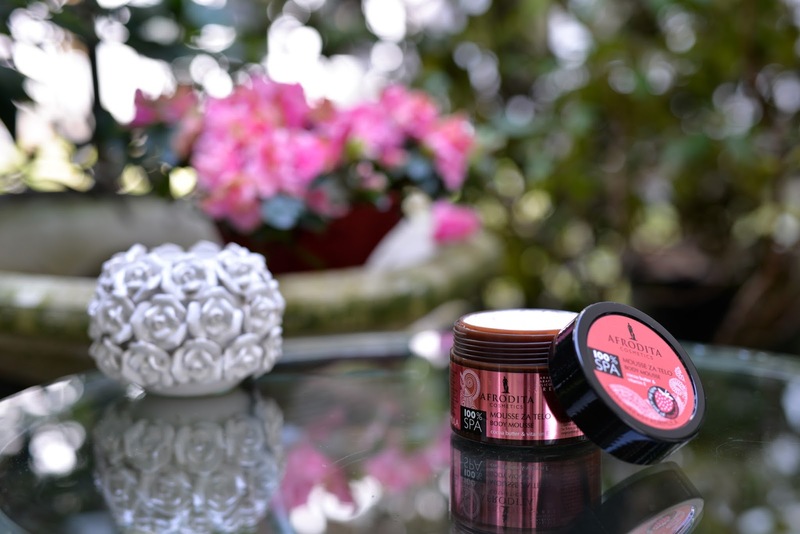 Just like the strawberry option, it's undoubtedly an important step in a pamper, Spa at Home, routine. And now for the last part of this Spa at Home pamper routine: if you don't have anything particular planned for that day/evening then continue with your pamper routine. Try to do it at least once every week/two weeks to recharge and take your mind off things. And it's even better if you share this experience with your friend/partner and enjoy their company. Hopefully you enjoyed my little tips, which will relax you for a bit and make you devote your fullest attention to your body and mind for at least once a week. Take an hour off and just enjoy! This was shot in a beautiful hotel in the centre of Ljubljana, Antiq Palace Hotel, so thank you for letting us carry out this amazing project! In order to avoid stress of my body, I generally prefer for the spas. I usually go to spas once in a week. According to me spas are the best way to free from stress. You got 2 benefits, first is you treat your body lovely and the other is you make your mind stress free. Spa is one of my favorite way to get rid off stress. I often visit spa once in a month. However, if I am not able to go to the spa then I carry this process at home. Surely gonna try these products. Thanks for sharing. After one point your age face aging signs problems. For that you need to maintain your skin. For that you need to use good products for skin. I love to go to spas. Spa is quite an effective way to get rid off stress as well as to keep proper care of body. But the actual fact is that from now we do have to go to the spas in order to get spas. These all are available at home. Going to spas is rejuvenating one's soul. Skin cleaning that helps in making your skin glow and it opens all the blocked pores as well. Here is what I suggest that revitol eye cream for dark circles . This will help get rid of all kinds of eye problems and leave you with a a glowing face. I love to go to spas. Spa is quite an effective way to get rid off stress as well as to keep proper care of body. A massage improves blood circulation which delivers oxygen and nutrients to the cells. I also use skin brightening cream dermology as it's an effective skin brightening cream and also helps in getting rid of dark spots.